“There is an alternative” – and it doesn’t have to cost more than we’re spending now. It seems some people are upset that Labour has announced it does not intend to increase public spending, if elected into office after next year’s general election. This is a perfectly reasonable reaction, depending on the amount of information available to the person holding that opinion. In other words, if you don’t know why Labour has made this decision, it is perfectly reasonable to assume that the former Party of The Left has turned Tory-lite. That’s why we’re hearing that Labour will simply continue Tory policies; that the main three parties are “all in it together” (to overuse a hackneyed and devalued phrase). But evidence is available to suggest that this is a big mistake. To finance extra spending, Labour would have to borrow more money – but this would push up interest rates and create a potential disaster for people with mortgages and loans to pay off. According to Modern Monetary Theory – an economic method that seems to have earned credence with all the main parties – government borrowing is not undertaken to finance its spending, but to maintain a target interest rate. 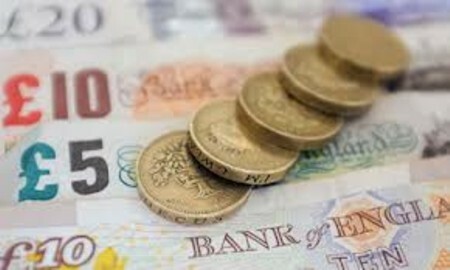 In times of recession, businesses borrow more and households find it hard to save money for a rainy day (as the saying goes). We have spent most of the last decade either in recession or in the slowest recovery in British history and the private sector simply doesn’t have the spare cash to pay higher interest demanded on loans in the wake of higher government borrowing. Labour wants to safeguard those businesses; Labour wants to safeguard your homes. The alternative would cost any government much more in the long run. So Labour has set a spending target that is the same as the Conservatives’, ensuring that interest rates can be kept under control. This doesn’t mean it will continue with Conservative-led spending plans. That would be a betrayal of Labour’s core voters. Instead, it seems more likely that Labour will seek to stimulate the economy by taking funding away from wasteful areas – this blog would certainly wish to see less public money given to private contractors who pocket half of it as profit – and investing it in economic growth. With more money flowing through the system and coming back to the Treasury in taxation, it will then become easier to relax restrictions on interest rates, which will help the government with its debt issue (this has to do with the way governments borrow money, issuing bonds at fixed rates of interest, and is a story for another day). If Labour’s plan works, it will mean humiliation for the Conservatives and the Liberal Democrats, as Labour will have spent exactly the same amount doing it as those other parties have been spending for the previous five years – to little effect. 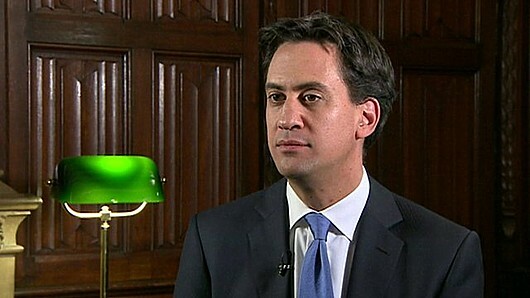 Do not misunderstand; it is perfectly possible that Labour’s spending plans could be entirely wrong-headed! Labour spent most of the last 20 years experimenting disastrously with neoliberal thinking that, continued and concentrated by the Coalition government, has led us to the current pretty pass. In this case, it seems the Devil really is in the detail. But the overarching strategy is sound and Labour should not be criticised for it. 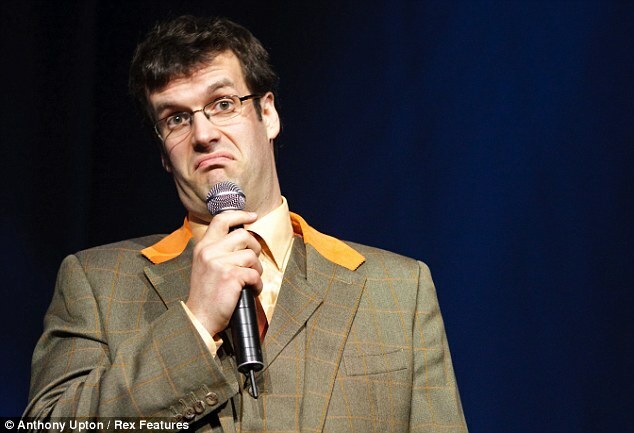 This is the first pic I could find of Marcus Brigstocke, as he might have looked while delivering the piece quoted below. He’s a known beardie so he probably had face-fuzz as well. What a rare and pleasant thing we’ve enjoyed for the last few days – a Bank Holiday weekend with good weather! And isn’t it a shame that this means most of you will have been out, and therefore missed Marcus Brigstocke’s turn on The Now Show. He led with the 0.8 per cent increase in economic growth, mocking the government’s celebratory tone with impressions of how ordinary people took the news, up and down the country (some of the accents were beyond belief). Doesn’t this fit nicely with what this blog has been saying about the economy being dependent entirely on the movement of poor people’s money? Those with less spend all – or almost all – of their income and it is this money, being pushed around the system, that boosts profits and keeps Britain going. He continued: “I know that the state of the economy matters but for the vast majority of people it is as mysterious and cryptic as the shipping forecast… What makes a difference to people is not zero-point-eight-per-cent growth; it’s actual wages and the cost of living. It seems to me that many employees are finding life extremely difficult now, because the amount they are paid does not cover all their outgoings and they are having to work out what they can do without. The cost of living has risen more sharply than their pay, so they are out of pocket. This creates stress, which can create illness, which could take them out of work and turn them into a liability to the economy – as they would then be claiming benefits. That’s bad – not only for the country but also for their company, because demoralised employees produce poor work and the company’s turnover will decrease; having to bring in and train up new workers to replace those who are leaving through ill health is time-consuming and unproductive. Therefore, in taking the money for themselves, rather than sharing it with employees, bosses are clearly harming their own companies and the economy. In fact, it seems to me that this is a microcosm of the larger, national economy. In order to keep more money, bosses (and the government) pay less (in the government’s case, to pay off the national deficit). This means less work gets done, and is of poorer quality (in both cases). So orders fall off and firms have to make more cutbacks (or, revenue decreases so the government makes more cutbacks in order to keep up its debt payments). The message to bosses – and the government – is clear: Cutting back investment in people to keep money for yourselves will cripple your earning ability. Cutting even more to make up for what you lose will put you into a death spiral. You are trying to dig your way out of your own graves. A reasonable pay increase to employees would ensure they can pay their bills, and would also keep them happy. Happy workers produce better results. Better results keep businesses afloat and earn extra work for them. That in turn creates more revenue, making it possible for bosses not only to increase their own pay but employ more people as well. Wouldn’t that be better for everybody? “Young workers are amongst the hardest-hit by the downturn, with pay falling by 14 per cent between 2008 and 2013. Well done, everybody! We pay far more from the welfare budget supporting incomes for people in work than we do for those out of a job. “The government keep on crowing about the number of people they have in work … most of them are not so much in work as near some work, if only they were allowed to do any. “If you’re on the minimum wage, kept on a zero-hours contract between 7am and 7pm so you can’t work for anyone else but rack up a grand total of – ooh! – just enough hours so your employer doesn’t have to pay your National Insurance [another VP theme], you get no training, no employee benefits, no hope of any promotion and you hear ‘IDS’ banging on about how he’s ‘the saviour of benefits street’, well, if you can still afford a shoe then please throw it at the radio or through the telly or at his actual face.” This is a reference to sabotage, in which workers threw their crude shoes – or ‘sabots’ into machinery to stop it working, in protest against their working conditions and developments that were endangering their jobs. “Low pay means higher staff turnover, high absenteeism, poor morale and lower productivity.” That’s exactly as I stated in the VP article from 2012. “I don’t know when money started making money faster than people but… It’s not helping,” said Marcus, truthfully. “So instead of running about with your shirt over your head doing ‘airplane arms’, shouting ‘Nought-point-eight-per-cent’… do something to get the people who actually work to be rewarded, recognised and remunerated for what they do. When I heard that piece, I very nearly stood up to applaud. If you want to hear it yourself (and I’ve left out enough of it to make it worthwhile, I promise you), it’s available for download here, and starts around eight and a half minutes in. Actually, it would be better if Marcus hasn’t been reading this blog, because then he would have drawn the same conclusions, from the same evidence, thereby reinforcing my own reasoning. Now, let’s have your opinions, please. I’ll be very interested to hear from supporters of the current “pay-’em-the-bare-minimum” policy as they almost invariably say things like “We can’t pay them any more” – it’s never “They have good reasons that mean they can’t pay us more”. Gideon needs to put his house in order, pronto. That’s the message I’m taking from the fact that the previous article on this blog – Austerity programme proved to be nonsense based on a spreadsheet mistake – has become the most popular ever to appear here. More than 10,000 of you read it within 24 hours of publication. Clearly, the fact that a principal pillar of his faith – the work by Harvard economists Reinhart and Rogoff – has been disproved, and by a student at a rival university, should have shaken his confidence. It is also ironic for a member of the Conservative Party to realise that they would have got their sums right, if they had done them the old-fashioned way. But we’ve had no expressions of apology or acts of contrition from the Treasury. It seems Mr Osborne is determined to keep going, no matter what damage this causes. I don’t reckon that’s good enough. I think he should be brought to account. So I have written him a letter, asking him to justify his position. I reproduce it below. If you agree that it is time Mr Osborne put his cards on the table, you might wish to consider using it as a template for a letter of your own. Following the revelation that a fundamental justification for your austerity policy has been disproved – the paper by Reinhart and Rogoff that was based on a mistake on a spreadsheet – I am writing to ask: What other documentary evidence do you have that supports your policy of economic austerity? I am mindful of the fact that one of your aides is quoted in The Guardian newspaper as saying “the suggestion that the case for dealing with fiscal deficits and debt rests on one paper is patently absurd” (http://www.guardian.co.uk/politics/2013/apr/18/uncovered-error-george-osborne-austerity), but this person did not provide any other examples. It should also be noted that this aide added, “It remains the case that the majority of economists still back the government’s strategy.” I await proof to justify this statement as well. Perhaps it is worthwhile to remind you that, of the 20 economists who publicly backed the Osborne Austerity plan in 2010, only one was willing to publicly back it in August last year. Nine publicly disavowed you, and the other 10 had no comment or went on holiday (http://www.newstatesman.com/blogs/politics/2012/08/exclusive-osbornes-supporters-turn-him). Be advised that it will not be enough for you to discount the quotations above because they come from left-wing sources. As it stands at the moment, the situation is that your policy has no evidence to support it, nor does it have the support of expert opinion that is being claimed for it. Bear in mind that even the International Monetary Fund is criticising your policy, despite having been a staunch support in 2010. You will recall that the Coalition came into being, nearly three years ago, for the specific purpose of bringing the economy under control. Your policy is the instrument with which this was to be done. If you do not provide evidence to support its continuation, then what are we, the public, to think? 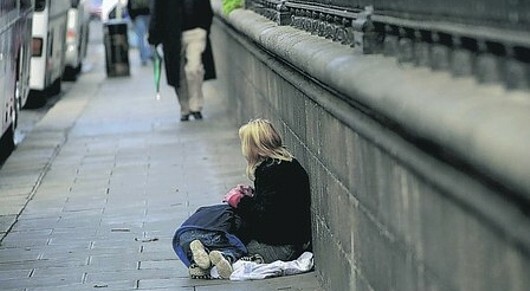 That you are inflicting austerity on us – primarily upon the poorest of us – purely to shrink the state? To sell off the profitable parts to private industry, for the good of private bank balances rather than for the benefit of the nation as a whole? For spite? If I were in that position, honour would demand an admission of the mistake and either an alteration of policy to one that is more likely to support economic growth (I understand alternatives are available) or – considering this government that was formed to fix the economy has spent three years doing the exact opposite – the dissolution of this administration and election of one that is better-equipped to make the best decisions, in the interest of the nation as a whole. 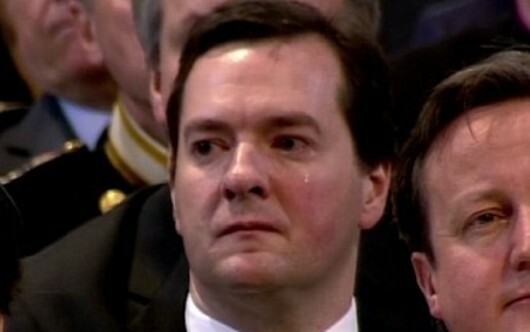 George Osborne famously shed tears at the funeral of Margaret Thatcher – but were they really for the Blue Baroness, a woman he is understood to have met only once (twice if you count Wednesday), or was it because he’d just heard that the entire theory forming the basis for his economic policy had just disappeared from under him? The government’s principal justification for pursuing austerity lay in tatters today, after it was revealed that the economic theory behind it is based on a mistake. The Chancellor’s entire austerity policy is based on a paper by economists Carmen Reinhart and Ken Rogoff, which is itself based on a spreadsheet concluding that public debt of more than 90 per cent of a country’s gross domestic product (GDP) slows down growth by 0.1 per cent – which is wrong. 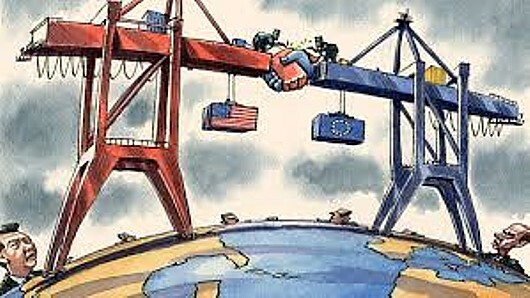 It should have found that countries with such levels of debt see their economies grow by 2.2 per cent – but the false conclusion was used by the UK Treasury to justify the horrific austerity programme that has already caused terrible harm to many British citizens, and is expected to cause much worse harm in the future. 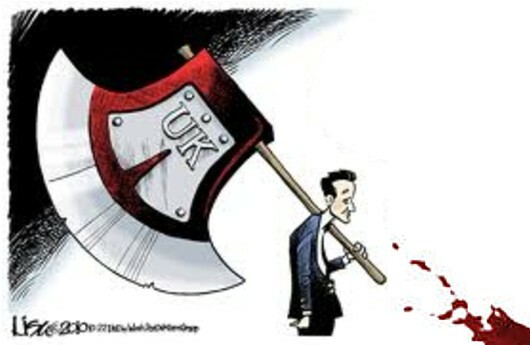 It means that the slaughter of innocents down at the DWP – the deaths of many thousands of people claiming Employment and Support Allowance, due to changes in the assessment regime that were based on a false theory dreamed up by an American insurance company when it needed an excuse not to pay out – have been in vain. It means that the huge cuts to social security benefits for those who are out of work and those in work but poorly paid are totally unjustified. Here in Mid Wales, they average out at £433 per year, for everyone of working age. That’s roughly one week’s wages here – and of course much more than that in terms of benefits because, let’s remember, this government wants to make sure that work pays more than worklessness. And it means that the Income Tax cut for the very rich, and the cuts that have reduced Corporation Tax by a quarter, were also unjustified. Let’s not forget that the Coalition government has been giving our money back to its influential friends. 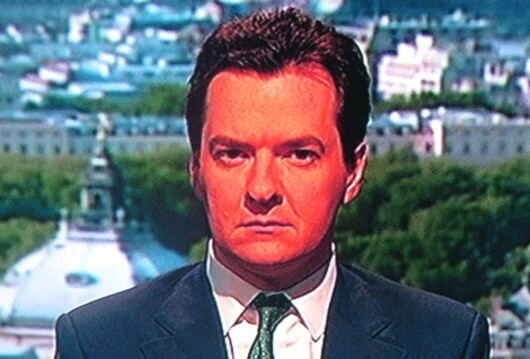 Gideon George Osborne’s ridiculous plan was known as “expansionary fiscal contraction”. Just looking at those words together, anyone with an ounce of common sense knows it’s ridiculous. It implied that the economy would grow if it was starved of investment. What rubbish. How on earth can anything grow if it is being starved? 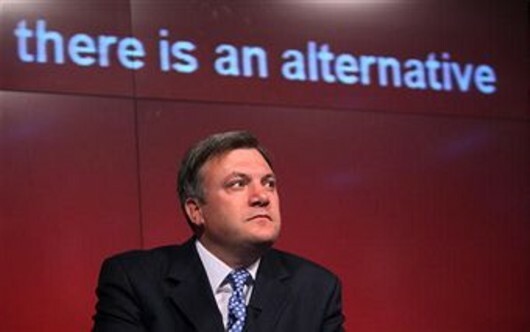 Now that plan has been exposed as “total nonsense” – which is exactly the way Ed Balls described it after hearing of the mistake. 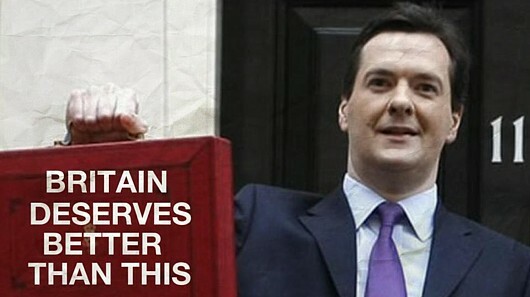 Osborne, of course, is sticking to it. An aide said it was “absurd” that only one paper supports the Chancellor’s case for austerity – but put forward no examples of other justifications. The aide said “the majority of economists still back the government’s strategy”. But the International Monetary Fund doesn’t. The IMF was the main supporter of Osborne, using the same Reinhart-Rogoff paper to justify austerity schemes three years ago. Now, both IMF chief economist Olivier Blanchard and its head, Christine LaGarde, have suggested that he should be “slowing the pace” of his cutbacks. In fact, we all know why Osborne will continue to push austerity down our throats, and it has nothing to do with balancing the budget. He knows it is extremely unlikely that the Conservative Party will win an election in 2015 – the damage he has already done to all our lives means that is a statistical probability on which he can rely. But he has more ideologically-motivated changes to foist upon us, whether we want them or not. His buddy David Cameron once said he wanted to see all public services except justice and the security services privatised, and we can expect Osborne to push this agenda forward with vigour. This government is all about taking public services and putting them into private hands, for profit and to spite the poor. That is the real truth that was revealed by a statistical error in a spreadsheet this week.